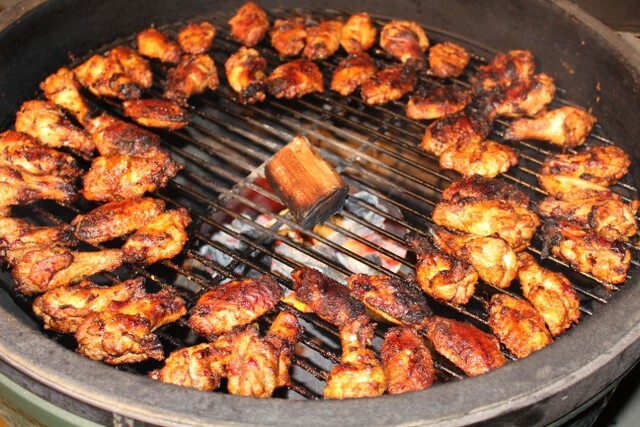 Chicken wings & drummies with Buffalo Wing seasoning around the Vortex cooking indirect with cherry wood on the grate for smoke. 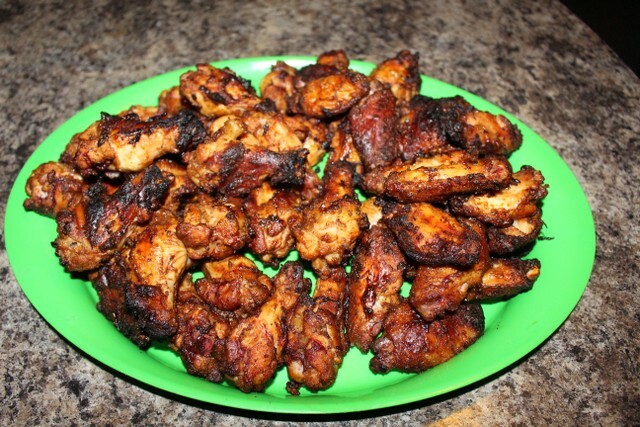 They were spritzed with apple cider vinegar/water mix while cooking, here is just before pulling off the grill. Excellent flavor, juicy on the inside with perfectly crisp skin! Oh my! That looks good, MM! You eat like a king, MM! Thanks and I have the Physique to show it! Yeah, but you will burn off the extra by hunting, yes? You must be an outdoor chef. I cooked a whole not cut frozen deer hindquarter in my gas grill, cooked it for 24 hours. It pretty much emptied the propane tank. Meat was good. 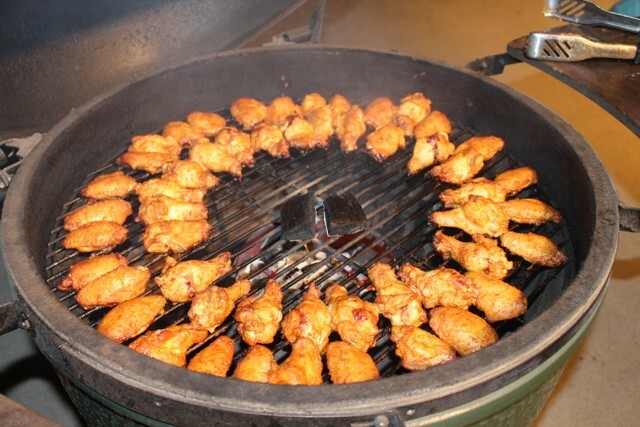 I also smoked a batch of freezer squirrels in my Brinkman smoker. They turned out good. Like the whole venison hindquarter, the smoked squirrels was an experiment.